As the Dec. 15 deadline nears for Obamacare coverage beginning Jan. 1, the 2-1-1 San Diego service is offering confidential enrollment help over the telephone. The free community information hub’s enrollment specialists can help residents apply and support them throughout the entire process. 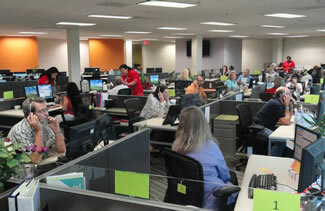 Operators at 2-1-1 San Diego. Obamacare, which is officially known as the Affordable Care Act, is administered in California by Covered California. Beginning in 2015, all Americans must have health insurance or pay a penalty with their tax return. Subsidies are available depending on income level. Officials from 2-1-1 said understanding and navigating California’s health care marketplace can be daunting, preventing some in San Diego from signing up. 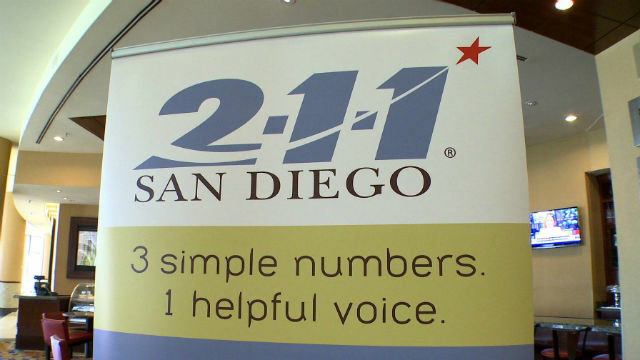 “2-1-1 San Diego — our region’s neutral and confidential call-line of support — can help those seeking to enroll or make changes to existing health care coverage,” said a spokesperson. Operators can be reached by dialing just 2-1-1 on any phone. Assistance in Spanish is also available. A study commissioned by the Council of Community Clinics found that some 275,000 individuals in San Diego County lack health-insurance coverage.